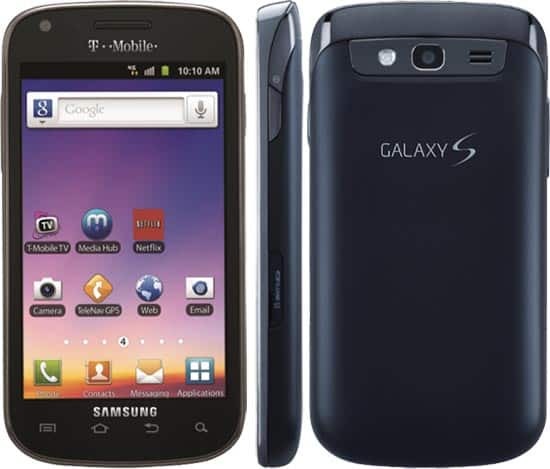 The Samsung Galaxy S Blaze 4G was announced at CES and should be hitting T-Mobile shelves by the time your reading this. It is being billed as a "4G" HSPA+ 42Mbps device for T-Mobile featuring a 3.97" Super AMOLED display with a WVGA (800 x 480) resolutions, and powered by a dual core Qualcomm Snapdragon S3 SoC running at 1.5 GHz. It will also sport a 5 Megapixel rear shooter, 1.3 Megapixel front facing camera, and 16GB of on board storage. Those specs neither put it ahead of the pack or far behind and should be a decent mid range device for 2012 with a mid range price of $149.99 with a $50.00 mail in rebate on contract. The Blaze 4G will offer speedy performance out of the box with a TouchWiz UI running atop of Android 2.3.6 Gingerbread.